I bought the Just Be Cool logo tank to rock during the summer - and its definitely come in handy, but now that fall is quickly approaching - its time to transition to shirts with actual sleeves on them. 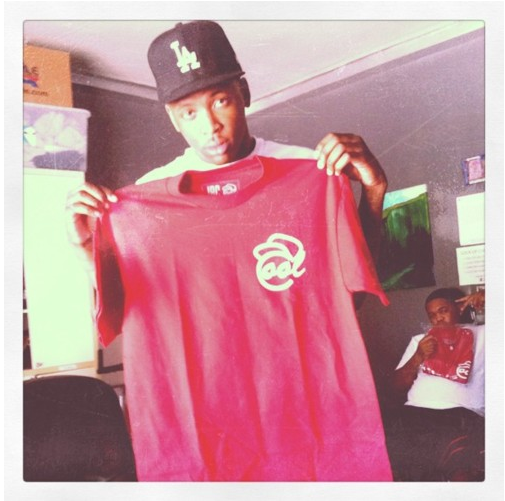 Some of you may have heard the "Just Be Cool" references in numerous Dom Kennedy tracks, may be a fan of the COOL logo featured on the shirt above, or may be a fan of what the brand is after with their mission statement ("a campaign designed to redefine the word COOL - To keep a POSITIVE attitude about LIFE and a WORLD of PEACE, UNITY, and PROGRESS"). Whatever the case is, show support by purchasing here (you know I am).